When an artist makes a masterpiece, nothing they do after that will ever be enough in the eyes of some fans. 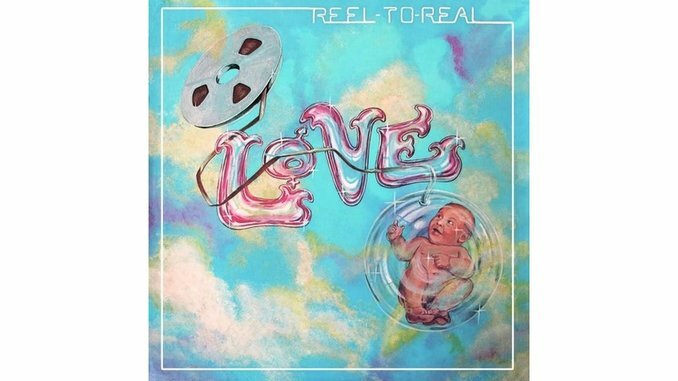 That’s something that Rolling Stone scribe David Fricke emphasizes in his exhaustive liner notes for this reissue of Reel To Real, the final studio album by Arthur Lee’s band Love. When the mercurial singer/songwriter was brought under contract by RSO Records in 1973, the expectation was that he could be steered toward creating another Forever Changes, the 1967 classic of dark hearted psych-folk-pop. What the label got instead was a ragged collection of spirited R&B and soul, meaty guitar rock, and Lee’s zonked lyrical visions of bad juju and hopes for a better world for all. Reel To Real is, by anyone’s estimation, far from a perfect record. But it’s also one that has been unfairly dismissed in the four decades since its release. The supporting evidence of the potential of Love circa 1974 is the copious bonus material included with the remastered version of the original album. Left to his own devices with a bountiful recording budget, Lee sounds as focused and loose as he did on the sessions of the lost album Black Beauty and his 1972 solo album Vindicator. In bits of between take chatter, he chides his engineers and band with an audible grin, and everyone’s performances have a little wobble to them, as if they were still feeling their way around the songs. Yet, outtakes like the muscular horn section-augmented funk of “Do It Yourself” and the heavy blues attack of “Somebody” reveal a band really coming into its own. If Lee and co. had gone through with recording a follow-up as part of his two-album deal, it could have been a white hot blast. Instead, Love’s legacy, up until Lee’s late career return to the stage following his five-year stint in prison, was an album that varies pretty dramatically in quality. Opening track “Time Is Like a River” has a leaden Blues Brothers Band feel, but is then quickly swept aside by the agitated R&B of “Stop The Music” and the dizzying polyrhythms and Moog intrusions of “Who Are You?” And so it goes throughout the original tracklisting with undercooked jams giving way to moments of real inspiration and, as with the closing track “Everybody’s Gotta Live” (a song originally found on Vindicator) startling emotion.